With the recent discussions on horses who deserve a second chance at a new career or who have earned a happy retirement (for example, well bred but so-so runners…..stakes winning geldings, who have seen better days, but now find themselves dropped into the lowest claiming ranks when they should be retired…half siblings to famous runners, etc. )…..well I am curious about Zeny’s gelded half brother Souper Spectacular. What is his status? Is he still racing? Is he retired from racing but started in a new career? Who has the scoop on this horse? That's a good question, been following him and have no way of knowing where he is now. His last race was June 16th 2012. Its been a year and 2 months since he's ran no recorded works at all either. I've wondered about him also. Hopefully he is retired somewhere and enjoying life as a pasture ornament or working in a new career. Maybe someone will come up with a way to find out more. Thanks for bringing it up. Found out hes retired at Live Oak, the farm that bred and raised him, hes a gelding so i think hes just going to be a horse. Can anyone find a picture of him? i know he's a chestnut but I'm curious as to what he looks like? Here's the pictures Foal Track has. And here's an article about him with a picture from his turf maiden. Wow, nice to see those photos. I'm happy to know he's living a good life. His blaze is similar to Z13's. RACHEL- is live oak a central ky farm? Live Oak Plantation is where SS is. he raced with the trademark red polka dots on white with black sleeves silks. location is Ocala, Florida (where Coz is in training ) however, they only have 2 studs, and Souper Spectacular is a gelding. so im not sure what they have in mind for him, im hoping just to be a horse. they bred and raised him there. The Souper Spectacular questions began in the G Ten Discussion. Souper Spectacular was retired to Live Oaks. He was gelded. At least that is what several sources on the internet say. His winning photos appear on the Live Oak web site. 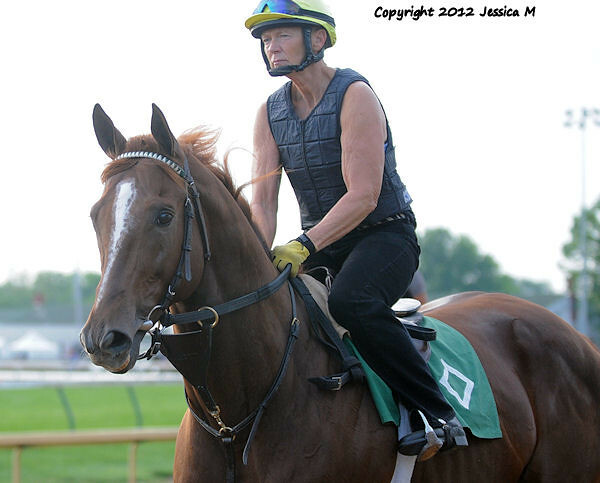 equibase still lists Mott as trainer, Live Oaks as owner so he was not claimed. Perhaps an e-mail to Live Oaks or someone asking Bill Mott could confirm. He certainly has a beautiful face! It's good to know that he's retired to a good home. Hopefully, that's the way it will stay. If Souper is indeed retired here for good, its quite a place. 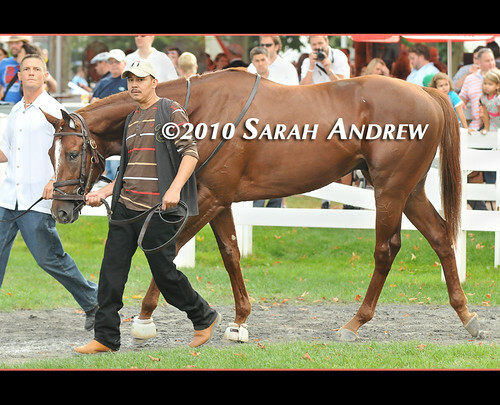 Heres morning training at Live Oak Stud, Barbara Livingston 2006 photo. Has there been any news on this boy since 2013? I went out to the Live Oak website and saw nothing to indicate that he is still there. Farm may respond to question? @VA_in_CA: He has had his own Thread since 2013. So sorry that this is the latest news on this guy. 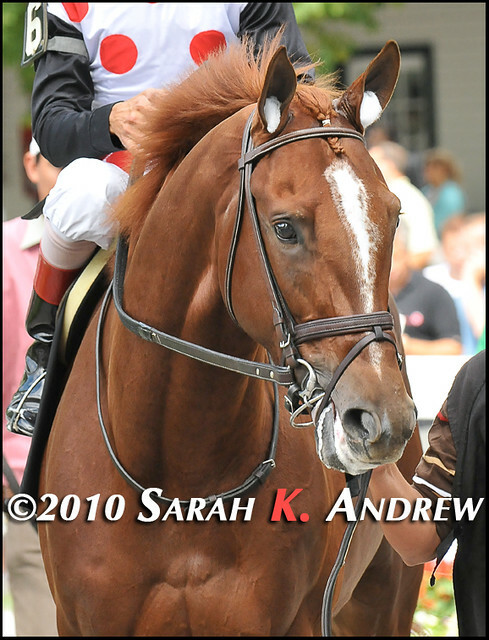 He is an OTTB whose tattoo was clearly legible and it turns out he is none other than Souper Spectacular, yes, one of the foals of Vertigineux, and a half-brother of Zenyatta!!! Here is more information. Check out the comments. They started a Gofundme to help! Oh my! This is horrible...all of the abusive treatment is horrible, but SS was/is a beautiful well-bred horse, and the Giant Causeways tend to have easy personalities ( which would have countered V's. He was certainly abused and unhealthy. Sending him to auction was definitely a stupid move. Yikes! Get him back to being healthy and I'm sure he's got a long, useful life left! And, of course, unless nobody knew who he was, sending a half to Zenyatta of all horses to a meat auction is downright idiotic. Just. Wow. This is crazy!!! Did she really not know when she rescued him that he was a half to Zenyatta? If not how serendipitous was that? I have mixed emotions from being super happy he is safe to actually being a bit jealous. He looks like a sweetheart, I wish I had "found" and saved him. All this time, I'm thinking he was at Live Oak safe and loved because he is a half to Zenyatta. How wrong was I? So now do we have to worry what is to become of De Coronado? EspeciallyHorses, thanks for posting my post here. I wasn't aware that Souper Spectacular had his own thread. I was going to check, but it takes time to do that and I've been caught up in several issues on facebook, so hadn't gotten around to that yet. I had an exchange of comments with his new owner and she says she's going to keep him and cannot imagine not having him. He is a sweetheart. Check out her page (referenced above) and see some of the comments. Apparently Live Oak has some surly employees. They seem to have just let him go. Don't know if we have to worry about De Coronado, but I'd worry about some of the half-sisters after they get too old for foaling. Thank you for bringing this to our attention, @VA_in_CA. I am so glad that he is safe now, but leaves you to wonder where other siblings/offspring of familiar names have ended up all these years later. The half sisters were bought to be broodmares. Even at less value, someone will want them. I certainly hope so, KMM. But I worry about them when they get old. This is shocking. I have been following this horse. I wonder how he ended up here.